So my eyes rolled almost completely back into my head last week when Gavin Henderson, the principal of my alma mater, the Royal Central School of Speech and Drama, opened his mouth and did just that. In response to a question about whether quotas would be a good way of solving this problem, Henderson is reported to have argued against the introduction of any formal recruitment structures saying: “We have a school to maintain and a reputation to maintain in terms of the standards of who we are engaging.” (Since then, he has sought to clarify his comments by saying he prefers ‘targets’ to ‘quotas’. But this kind of semantic wrangling does little more than try to disguise a vague intention as a concrete commitment). The other big winner at the Oliviers was the musical Hamilton, whose diverse company essentially makes having quotas an intrinsic part of the casting process. I know from experience that quotas can be an engine for creativity. When I was artistic director of London’s Gate Theatre, we made a commitment internally that the demographic of our staff and artists should closely reflect that of London as a whole – this meant ensuring, for instance, that at least 40% of the actors we employed were people of colour. Having an ambitious target like that forces you to think creatively about how to achieve it. 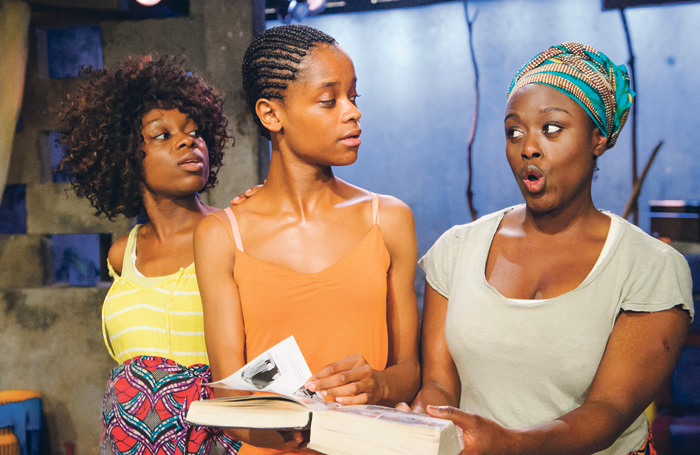 We had to challenge the notion that ‘whiteness’ should be the default when it came to casting in general, and we also had to ask ourselves: ‘What other stories should we be telling?’ This led to my programming some of our most successful productions: Eclipsed and The Convert by Danai Gurira and Assata Taught Me by Kalungi Ssebandeke. These shows received many excellent reviews between them and all of them ended up completely selling out.